What is Outdoor Essentials® vinyl fence made of? Vinyl is an abbreviated name for polyvinyl chloride (PVC), which is used for pipe, windows, and other construction components. Outdoor Essentials vinyl fence also includes titanium dioxide (TiO2), UV inhibitors and acrylic impact modifiers. This blend of ingredients yields a durable, low-maintenance fence that's guaranteed to last. What is the difference between the Pro Series and the PicketLock Series vinyl fence lines? The PicketLock™ Series utilizes technology that securely locks pickets into place between the rails without glue or fasteners. Fence rails attach to posts with brackets and no special tools are required for installation. The Pro Series line does not require external hardware. The rails lock into routed posts to create clean lines. The bottom rails include rail reinforcements. How wide are Outdoor Essentials fence pickets and what is the spacing between each picket? 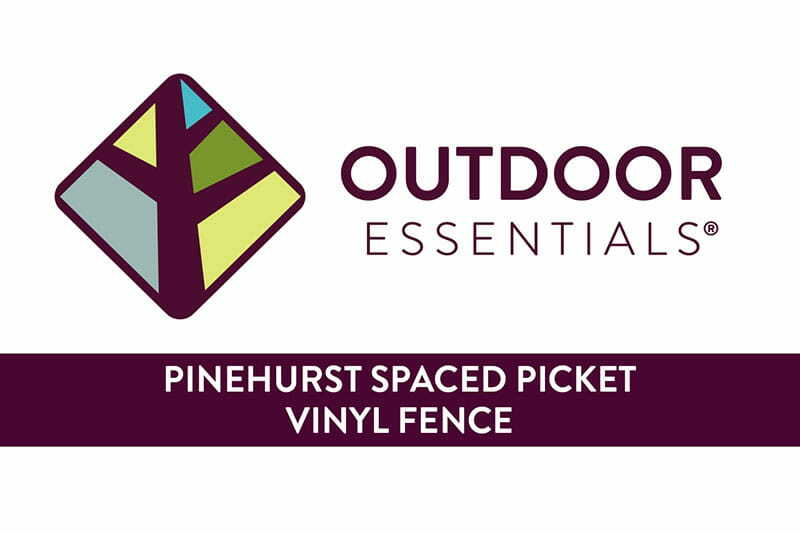 Outdoor Essentials vinyl fencing is available through three product lines—PicketLock, Pro Series and Ranch Rail— in a variety of styles. Check out this simple chart showing the picket width and spacing for each fence style. 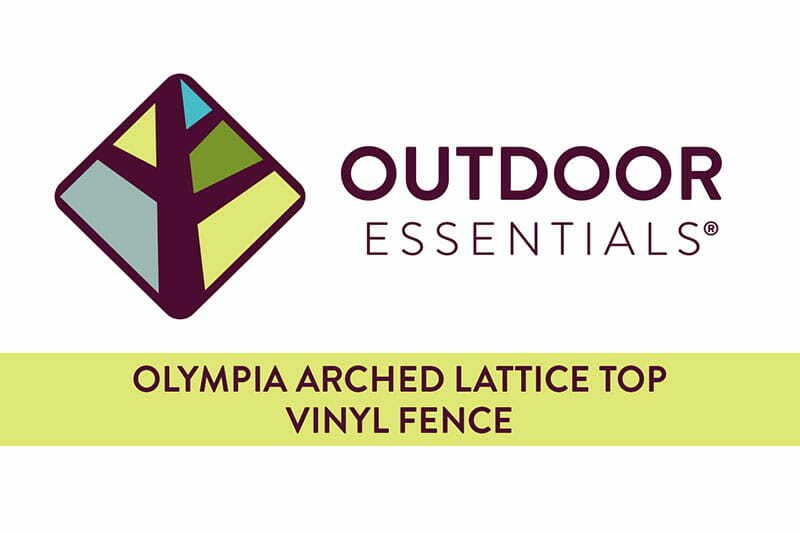 How strong is Outdoor Essentials vinyl? Our vinyl contains impact modifiers that meet or exceed all ASTM standards for vinyl fencing. Vinyl has five times the tensile strength and four times the flexibility of wood. If an unusual impact does damage your vinyl fence, it can easily be replaced. Does Outdoor Essentials vinyl comply with building codes? Our vinyl is designed to meet or exceed most major building codes. Because codes differ from region to region, consult your local code official before installing your fence. 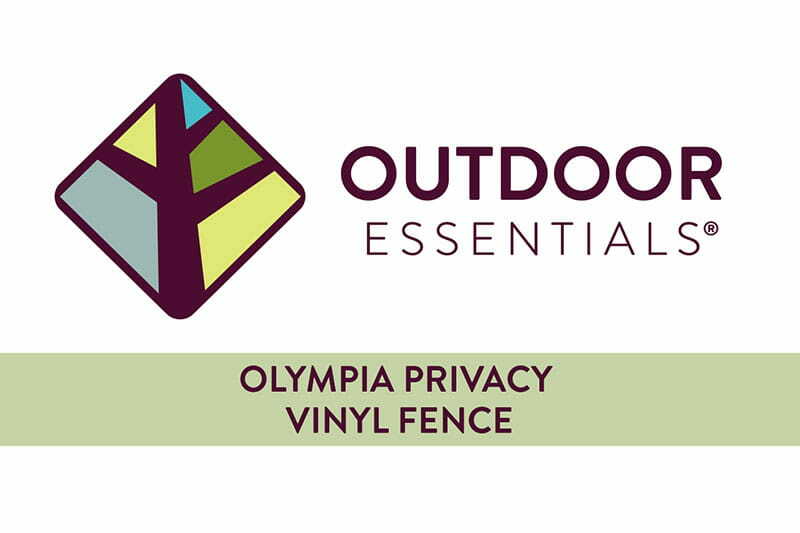 What type of warranty is included with Outdoor Essentials vinyl fencing? We offer a lifetime limited warranty for our vinyl fencing products. Does vinyl become brittle in cold temperatures? Vinyl loses some flexibility when exposed to cold but is designed to accommodate normal fluctuations in temperature. The added impact modifiers in Outdoor Essentials vinyl prevent it from cracking or breaking unless it sustains unusual impact. Will weed trimmers damage vinyl? Vinyl fencing can be damaged by direct contact with lawn and garden equipment. Exercise caution when using such equipment near your fence. Will vinyl turn yellow over time? No. Outdoor Essentials vinyl contains TiO2, which prevents discoloration caused by exposure to the sun and the environment. All of our vinyl fencing products are guaranteed to resist discoloration for 20 years. Vinyl will burn but, unlike wood, self-extinguishes once the flame has been removed. Because vinyl is a non-porous material, most paint does not adhere to it well. Moreover, paint can damage the vinyl's surface; therefore, painting your fence voids the warranty. While not classified as graffiti-proof, vinyl's non-porous surface makes it difficult for graffiti to adhere to it. Most paint can be easily removed with water and mild detergent. A pressure washer or paint thinner can be used for stubborn stains. Does vinyl fencing resist mildew and mold? The surface of vinyl fencing is smooth and non-porous, making it difficult for mildew to grow there. Mildew forms only under the wettest conditions and is easily removed with mild detergent and water. Is vinyl more or less expensive than wood? Over time, vinyl proves more cost-effective than wood. The cost of maintaining a wood fence adds up over the years, while vinyl is virtually maintenance-free. Vinyl doesn't require painting or staining and rarely needs repair. Are your posts designed to go over a 4x4? Yes they are, but our vinyl posts are structural and do not require a wood post inside. We do recommend a wood post inside a hinge post for a gate to give the hinges a solid attachment. How does vinyl installation compare to wood installation? Vinyl fencing is installed much like a wood panel fencing, but we recommend installing one fence section as you dig, prepare, and fill each post hole. Please refer to our installation instructions for more information. Should I fill my vinyl fence posts with cement? In most applications, you will not need to cement your vinyl fence posts. If you live in an area with extreme weather or high winds, it is a good idea to cement all of your posts for extra stability. How do I care for and maintain my vinyl fence? Vinyl is virtually maintenance-free. You'll never need to paint, scrape, or stain a vinyl fence. As with most exterior products, an Outdoor Essentials vinyl fence may get dirty when exposed to the elements. To keep your fence looking new, pressure-wash it occasionally with a mild detergent and water. To remove stubborn stains, use a soft-bristled brush and a non-abrasive cleanser. Read our blog post on caring for your vinyl fence.